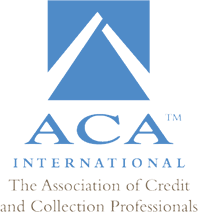 The Illinois Department of Financial and Professional Regulation has provided ACA with informal guidance asserting the Illinois Collection Agency licensing requirements would apply to those that collect commercial debt. 225 Ill. Comp. Stat. Ann. § 425/3 (West, WESTLAW through P.A. 95-702 of the 2007 Reg. Sess.). “Charge-off balance” is defined as: an account principal and other legally collectible costs, expenses, and interest accrued prior to the charge-off date, less any payments or settlement. “Charge-off date” is defined as: the date on which a receivable is treated as a loss or expense. “Consumer credit transaction” is defined as: a transaction between a natural person and another person in which property, service, or money is acquired on credit by that natural person from such other person primarily for personal, family, or household purposes. “Consumer debt” or “consumer credit” is defined as: money, property, or their equivalent, due or owing or alleged to be due or owing from a natural person by reason of a consumer credit transaction. “Creditor” is defined as: a person who extends consumer credit to a debtor. “Current balance” is defined as: the charge -off balance plus any legally collectible costs, expenses, and interest, less any credits or payments. “Debt” is defined as: money, property, or their equivalent which is due or owing or alleged to be due or owing from a natural person to another person. charged-off consumer loans or consumer credit accounts or other delinquent consumer debt for collection purposes, whether it collects the debt itself or hires a third-party for collection or an attorney-at-law for litigation in order to collect such debt. “Debt collection” is defined as: any act or practice in connection with the collection of consumer debts. “Debt collector”, “collection agency”, or “agency” is defined as: any person who, in the ordinary course of business, regularly, on behalf of himself or herself or others, engages in debt collection. “Debtor” is defined as: a natural person from whom a debt collector seeks to collect a consumer debt that is due and owing or alleged to be due and owing from such person. “Person” is defined as: a natural person, partnership, corporation, limited liability company, trust, estate, cooperative, association, or other similar entity. H.B. 5016 (Ill. 2012) amending 225 Ill. Comp. Stat. 425/2 (West, WESTLAW through P.A. 97-1025 of the 2012 Reg. Sess.). 225 Ill. Comp. Stat. Ann. § 425/2.03 (West, WESTLAW through P.A. 95-702 of the 2007 Reg. Sess. ).